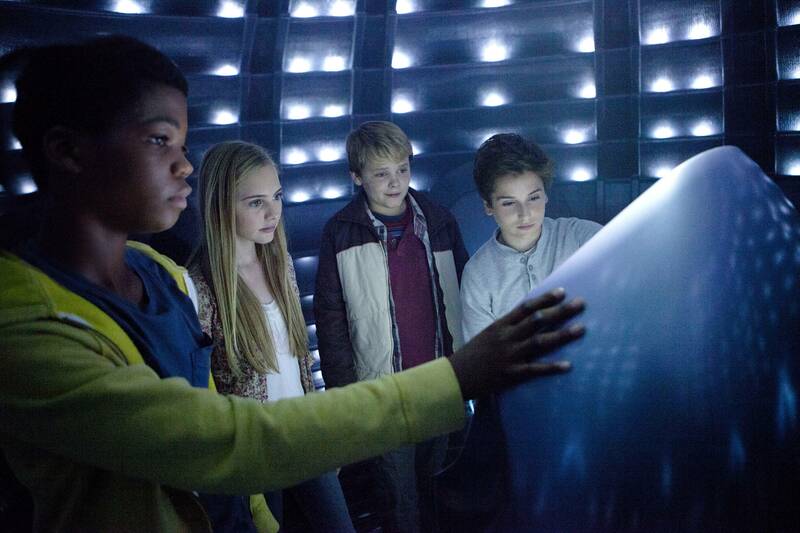 Check out the images from epic new movie Earth To Echo! From 25th July you will finally be able to see in cinemas the exciting new summer adventure, Earth To Echo. If you haven’t come across it yet, it’s all about best friends Tuck, Munch, Alex and Emma who start receiving cryptic signals on their mobile phones. After cracking the code they end up in a secret location where they discover a mysterious alien called Echo! Stranded on Earth hundreds of million lightyears away from its planet and wanted by the government, these kids are Echo’s only hope to return home. Earth To Echo is in cinemas from July 25th – click here to find out more! Earth To Echo looks pretty epic and to give you a sneak peek we’ve got hold of a bunch of pictures from the film. Check them out below! Are you excited about the new Earth To Echo movie? Let us know in the comments below.